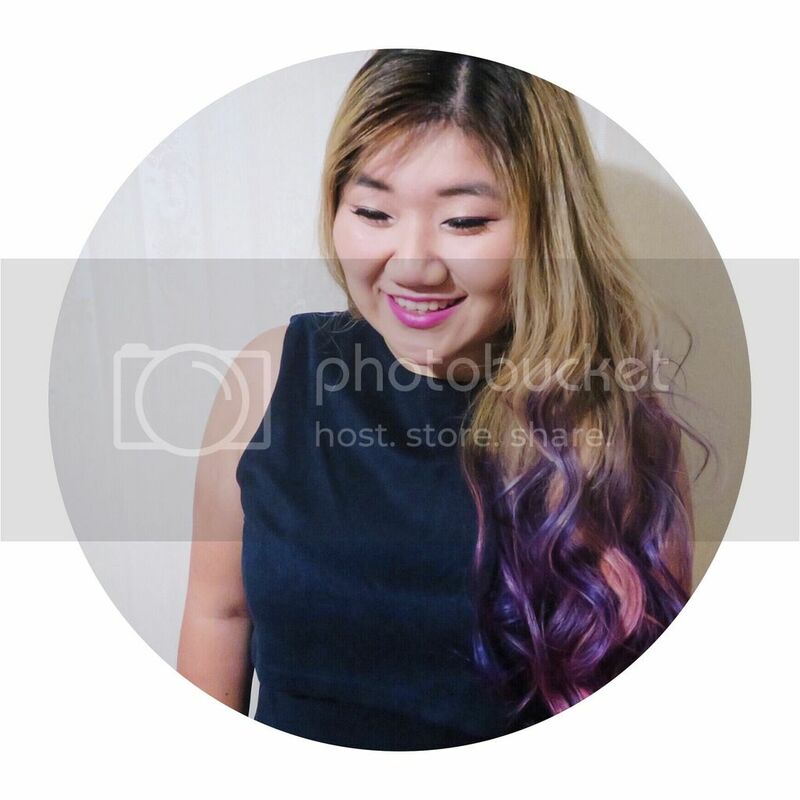 If you’re on instagram, you would’ve seen plenty of photos of Mammoth, their bacon and egg popcorn and golden gay time panna cotta in particular, and I was pretty much lured in by the photos, social media really is the new best way of marketing. 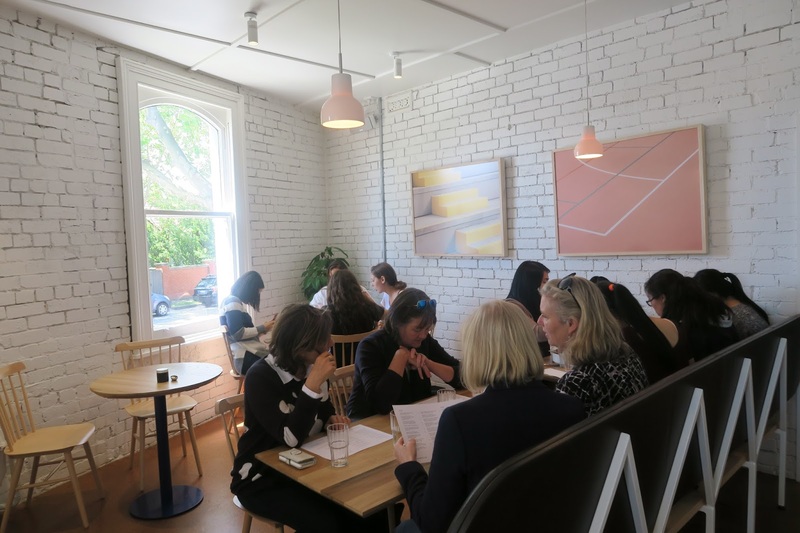 Words have definitely gotten around, within the first few months of opening, it already attracted quite a few diners. The ambiance was Melbourne at its best, with white brick walls, a pastel colour palette, and plenty of wooden elements added to the mix. Situated on a corner block, it was actually quite a small cafe, but it didn’t feel overly crowded, despite the amount of people. As always, I started with a skinny flat white. 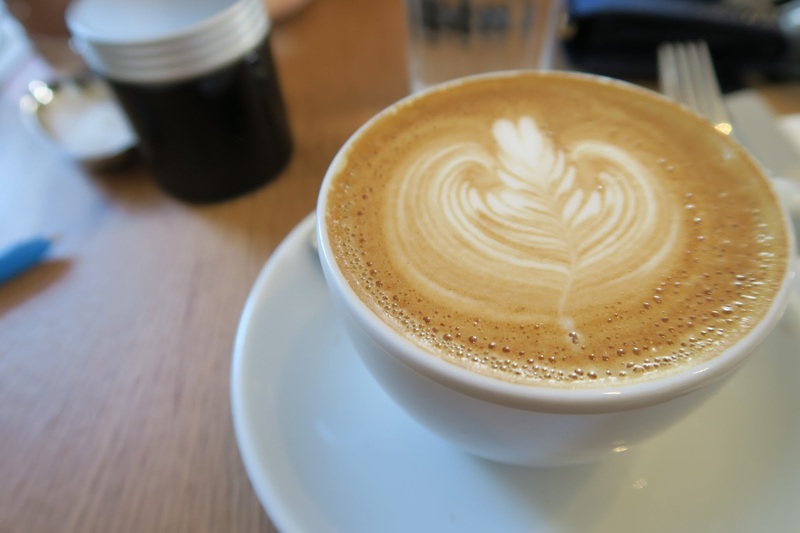 The coffee was smooth and aromatic, though nothing extraordinary, it still hit the spot. There was some fascinating things on the menu, which meant it took me forever to order. I settled for the green chilli chicken in the end, gotta say I was sucked in by the chicken fat fried egg. The egg wasn’t actually the highlight of the dish though, in fact, I couldn’t really taste the chicken fat, I mean, don’t get me wrong, the egg was fried well and had lots of crispiness, and it was still enjoyable to eat. What blew me away though, was the green chilli chicken. 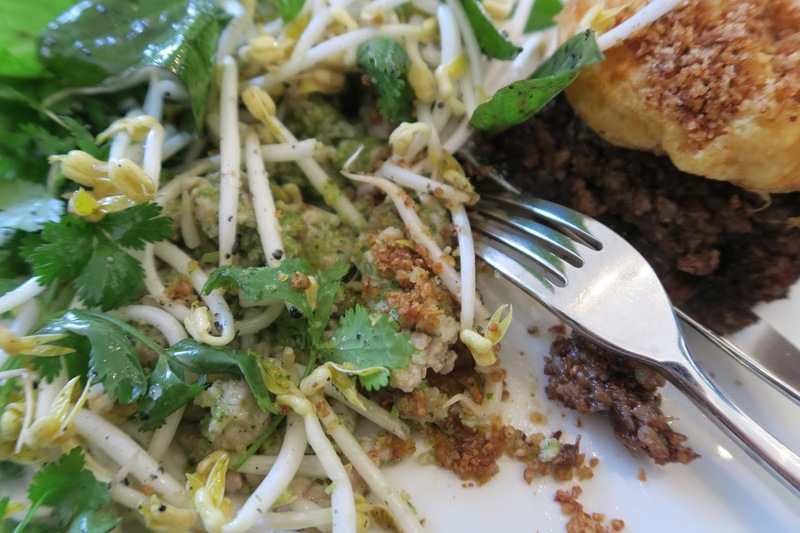 It kind of reminded me of Larb Gai, essentially being a chicken mince herb salad. The amount of spices and herbs in the chicken mince itself was amazingly complex, and scrumptious to eat. The crispy red rice cake was morish to eat too, although it was a little salty. 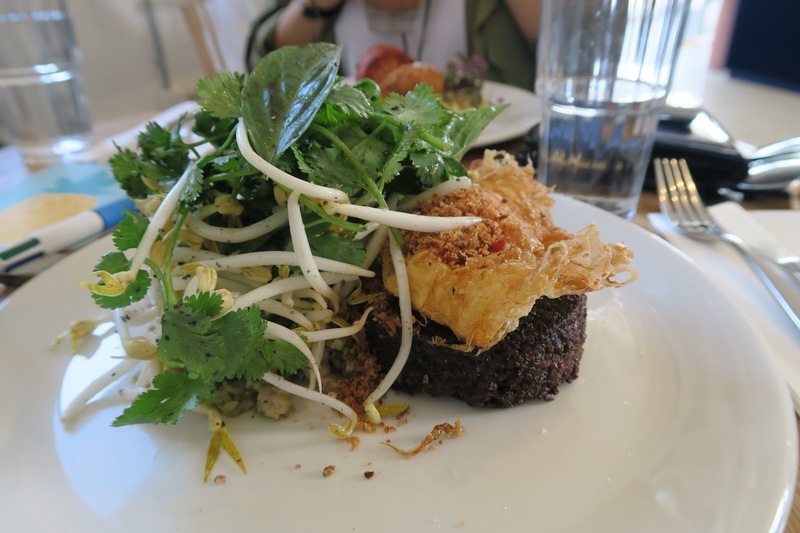 The herb salad that was tossed on top did help to lend some freshness to counteract the dense rice cake, and overall, I thoroughly enjoyed the dish. My friend ordered the North Shore, and although it looked very minimal on the plate, there was still a ton of flavour, but it was on the lighter end of the spectrum. 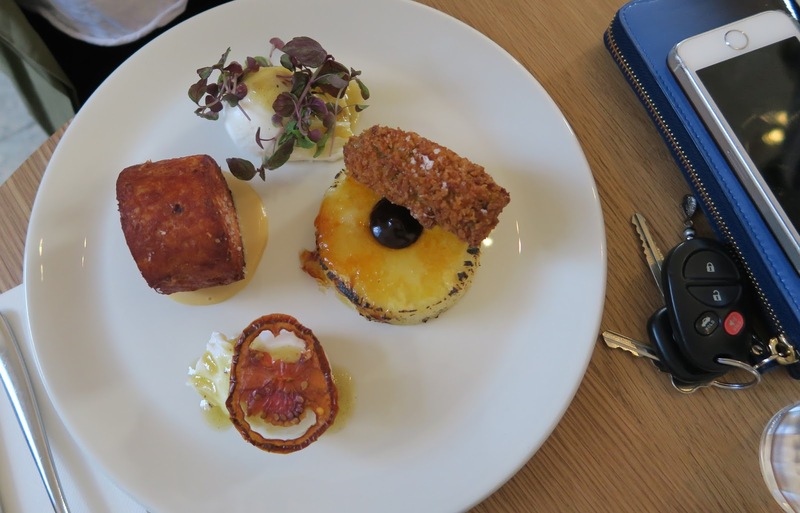 The flame grilled pineapple was her favourite, with the caramelization bringing out the sweetness of the pineapple, which played the counterpart to the saltiness of the smoked ham hock hash. She liked the jalapeño popper too, but thought it was a bit random on the plate. And of course we ordered a side of bacon and egg popcorn to share. 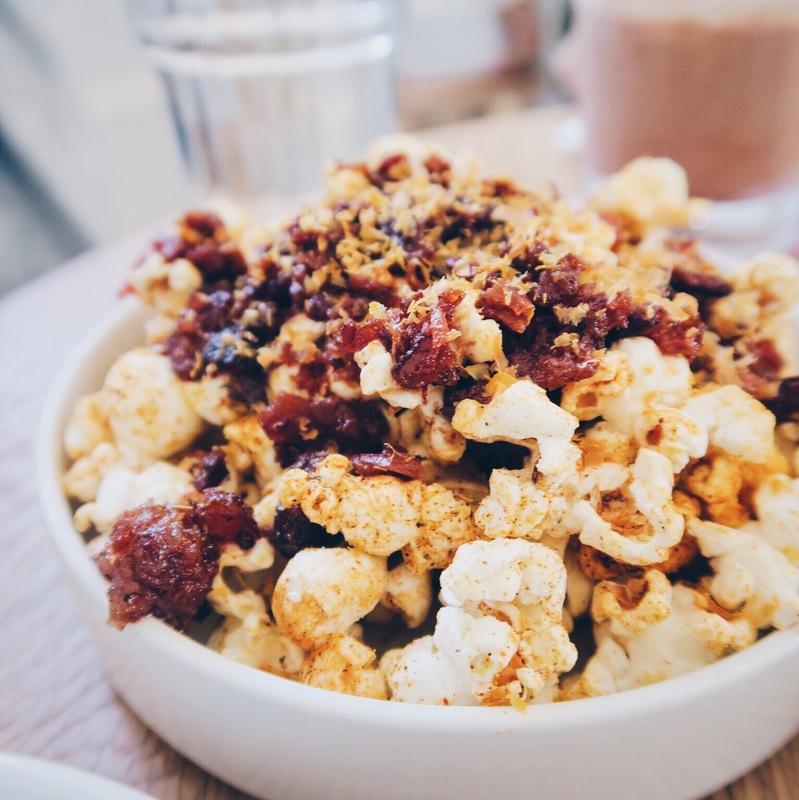 There was plenty of diced up fried bacon tossed through the popcorn, and there was some sort of powder that gave it an eggy flavour. The bacon was definitely the more prominent element, but that’s never a bad thing in my book. 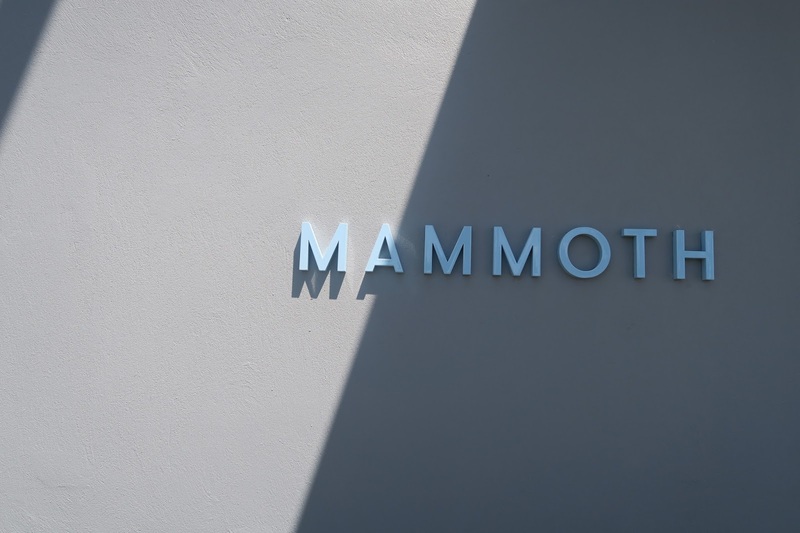 Mammoth was everything that I expected it to be, with a menu that is full of the weird and wonderful, it’s probably one of the most exciting openings of 2015. 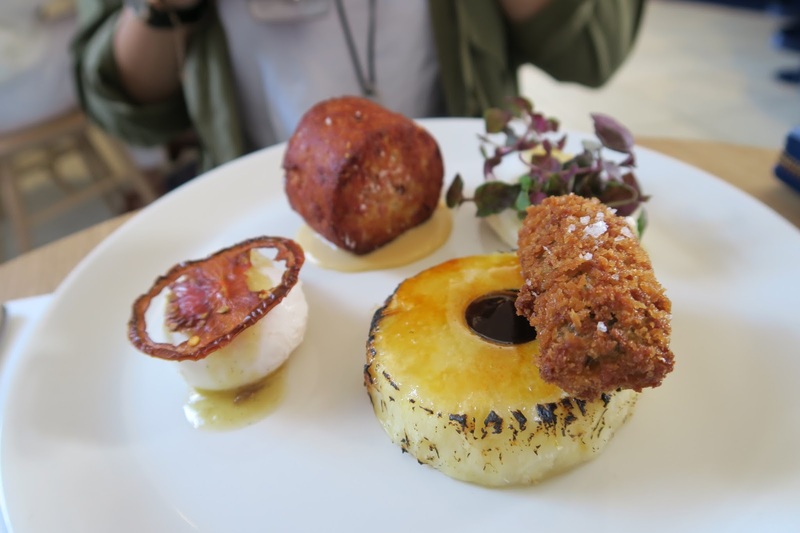 There are plenty more that I want to try on the menu, which means a return will be happening. 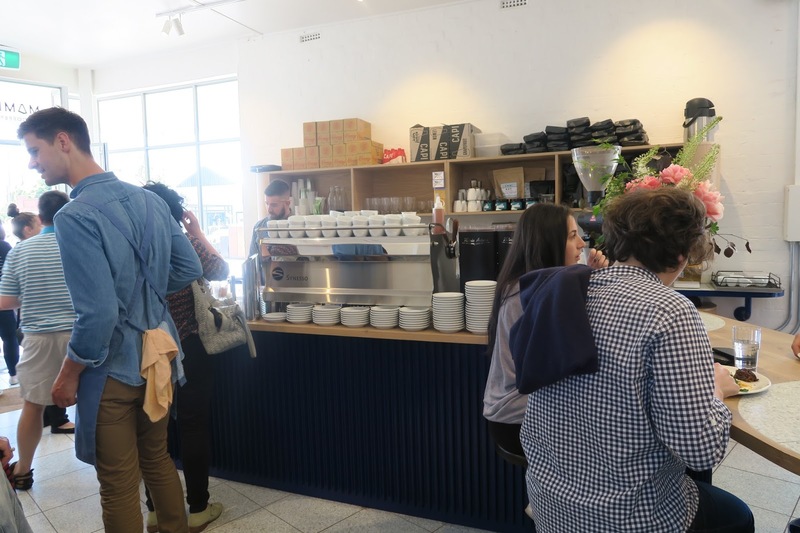 Catch the Frankston, Cranbourne or Pakenham train and get off at Toorak, the cafe is 3 minutes walk away.